I'm very pleased with my experience and the result. About twenty months ago, I went there for second opinion. Since I have an extreme case, I was advised to have a jaw surgery. Dr. Huang examined me carefully and explained to me patiently. which makes me very comfortable to go with him even though he could not guarantee for perfect bite. After the initial six months, I have to move out of state. I continued my treatment with him until he had my teeth straightened and stabilized. 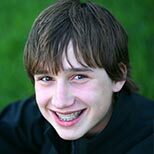 All the orthodontists I had seen before I transferred all praised a great job that Dr. Huang had performed. Finally I had my braces removed and my teeth looks too good to be my own. Again my current orthodontist said the majority credit should go to Dr. Huang given my extreme tough teeth conditions. I would highly recommend him for his expertise and professionalism. Christmas. Dr. Huang was ﬂying to CA that same day but was willing to come into the ofﬁce right away to ﬁx it before we both had to rush off to the airport. What a great guy! I had a terrible experience In Indianapolis with my Invisalign procedures. Moved back to Chicago and for the second time got Invisalign( braces) for my teeth. The experience and improvement on my teeth were 100XXX better. I recommend Gold Coast! Dr. Huang and his team are delighful! My teeth look great! 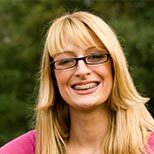 I’m so glad I made the decision to get Invisalign - and that I chose Gold Coast Smiles to manage the care of it. I looked into doing it through my dentist's ofﬁce, but they just didn’t seem as knowledgeable or conﬁdent in how Invisalign works. The staff at Gold Coast Smiles is both professional and helpful. They always spent as much time on me as was needed, and every question I had was answered thoroughly. I'm a dentist. 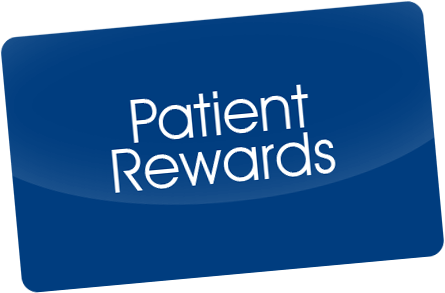 I am greatly selective about where I refer my patients. When I need an orthodontist, | send them to Dr. Huang. He is skillful. brilliant and up to date with technology. Doc Huang is the best. I couldn't qualify for "Invisaline" and had to go with adult braces. I was in and out within 14 months and could not be happier with the result. Granted it was nothing short of teeth correcting boot camp for my mouth, the pay off was completely worth it. Deﬁnitely go the "sure smile" route if your considering. It is worth every cent. Doc Huang and his staff are nothing short of the best. I am so glad I found Dr. Huang! I had braces when l was a kid (many moons ago) and it was a pretty terrible experience, so when I decided to go ahead with double jaw surgery I dreaded the Orthodontics. But now I enjoy seeing my orthodonﬁstThey do such a good job (I just got my braces off today and I cant believe it)! 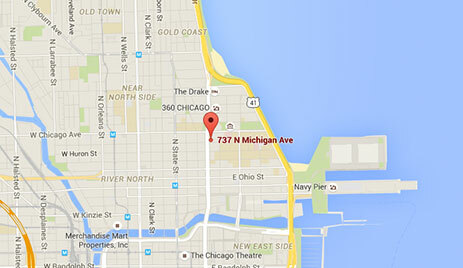 If you need any orthodontic work done in Chicago, this is the place to go! Dr. Huang and his entire staff are fabulous beyond measure. 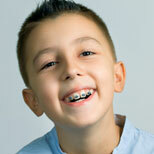 I had to endure braces twice in my earlier life and it was not until Dr. Huang treated me that I got a perfect result. I recommend Gold Coast without hesitation Professional, friendly. always punctual, utilizing the latest technology! Just terriﬁc care!